USS CONNOLE was the 5th KNOX - class frigate and the first ship in the Navy named after Commander David R. Connole. 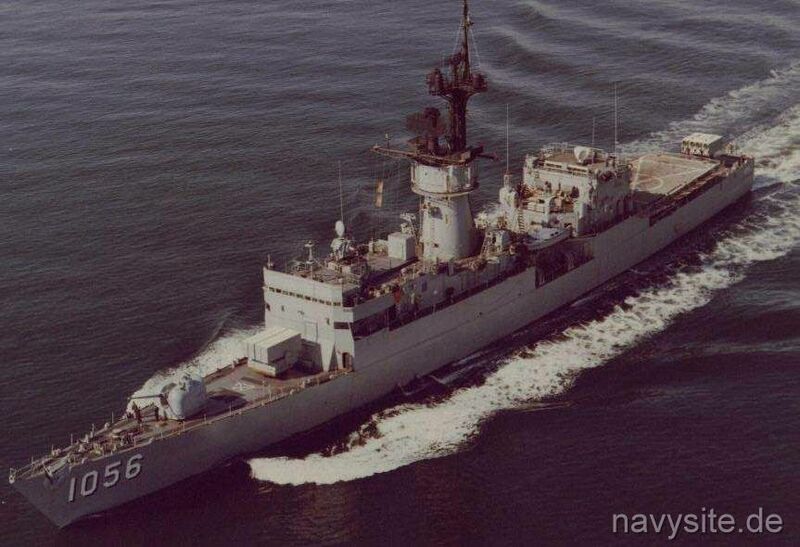 Decommissioned on August 30, 1992, and stricken from the Navy list on January 11, 1995, CONNOLE finally transferred to Greece. There, she was commissioned in the Hellenic Navy as IPIROS. The ship was finally decommissioned on July 29, 2003, and spent the following years laid up at Souda Bay, Crete, awaiting final disposal. The ship was later sunk as a target. 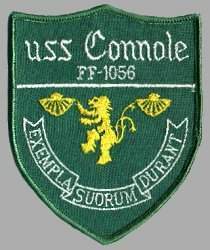 USS CONNOLE was last homeported in Newport, Rhode Island. Builder: Avondale Shipyards, New Orleans, La. This section contains the names of sailors who served aboard USS CONNOLE. It is no official listing but contains the names of sailors who submitted their information. Click here to see which USS CONNOLE memorabilia are currently for sale on ebay. David R. Connole was born on September 8, 1912 in Madison, IL as the first son of Henry Connole and Mary Rickart Connole. He did well in school and also became an Eagle Scout. After attending Illinois College for two years, he gained entrance to the U.S. Naval Academy in 1932 and graduated in 1936. For the next three years, he served aboard the cruiser USS BOISE then entered Submarine School. From December 1939 to August 1943, Commander Connole served aboard the submarine USS POMPANO which was involved in numerous war patrols in the Pacific. He then became executive officer of the USS CUTTLEFISH. In 1944, he took command of the USS SENNET and in 1945, he became the commanding officer of the USS TRIGGER. Commander Connole was killed when the USS TRIGGER was lost in battle off the coast of Japan in March, 1945. 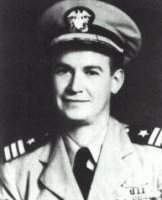 Commander Connole was awarded two Silver Star medals, the Bronze Star medal and the USS TRIGGER earned the Presidential Unit Citation for three war patrols.